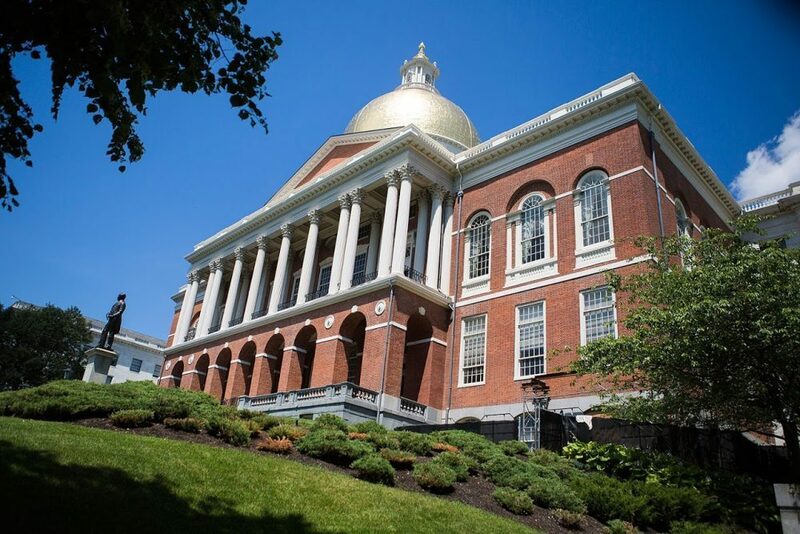 The Legislature’s Joint Committee on Consumer Protection and Professional Licensure is expected to recommend to the full House and Senate legislation that will extend for another year the simulcast rights at Massachusetts’ racetracks following a packed hearing on Tuesday. The current law permitting the simulcast rights for all racing venues will expire at the end of this month without that extension. New England Horsemen’s Benevolent and Protective Association (NEHBPA) Executive Director Paul Umbrello, testifying before the committee, said the simulcast revenue is an important piece of the overall economic viability of racing in Massachusetts. Failure to extend simulcasting puts all tracks in jeopardy and would even affect live racing at the Plainridge track. Mr. Umbrello also testified in support of legislation that would allow the NEHBPA and the state’s Gaming Commission to use funding from the Race Horse Development Fund (RHDF) to advance a proposal to build a new thoroughbred track and Horse Park in Massachusetts. The NEHBPA has proposed to build a state-of-the-art Horse Park in Central Massachusetts that would include a new thoroughbred racetrack and facilities for related equine activities including competition events, horse retirement, equine trade shows and other activities. In a bizarre twist on Tuesday, however, lawmakers heard from former NEHBPA member William Lagorio who argued in favor of ending the simulcast rights – which would effectively shut down simulcast not only at Suffolk Downs but also at the state’s other racetracks’ OTB facilities and hurt both Standardbred and Thoroughbred horsemen.. The NEHBPA continues to work closely with the Massachusetts Gaming Commission on legislation that would allow use of the RHDF for preliminary costs associated with the Horse Park Project engineering development, as outlined in pending legislation. According to a study last year by the University of Massachusetts at Amherst, the Horse Park would create as many as 1,000 jobs and annual economic activity of nearly $100 million. The NEHBPA is also planning to meet next week with a major national racetrack owner/operator who has expressed an interest in either developing or operating a track in Massachusetts. The trend in track development is toward facilities as entertainment destinations, rather than as a stand-alone track, that could include markets, trade shows, horse shows and other related horse activities. The Massachusetts Horse Park would include separate stadiums for horse shows, suitable for all riding disciplines, and become a central location for horse enthusiasts and breeders. “That is the future that we are trying to build for a revitalized and sustained Thoroughbred racing industry, and that is the future we should all be working toward,” said Mr. Umbrello.